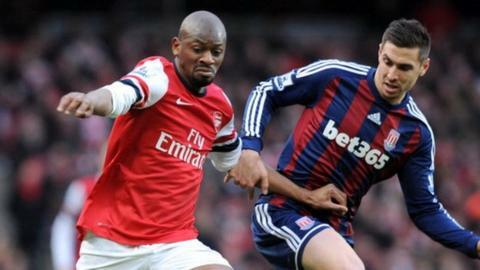 West Brom have offered a contract to former Arsenal midfielder Abou Diaby. The France international left the Emirates after an injury-plagued spell since joining from Auxerre in 2006. He made 182 appearances for the Gunners, scoring 19 goals, but the 29-year-old has played just twice in the last two seasons. "Diaby had a medical yesterday. We've made him an offer and we shall see. The big thing with Abou is getting him fit," said West Brom boss Tony Pulis. "We've had a look and we think there are things he can do to improve his chances of playing 30 Premier League games and we're confident we can help him do that. "Whether he accepts that and the ethos of the football club we'll wait and see. He is a top, top player." The Baggies signed winger James McClean from Wigan for about £1.5m last month.